Home country Israel will be represented by Kobi Marimi at this year’s Eurovision Song Contest in Tel Aviv in May. The song to match tonight’s winner will be selected at a later point. Back in November, Israel started their talent show “HaKokhav HaBa L’Eurovizion” (The Next Star For Eurovision). Four acts had made it through the various eliminations, and qualified for tonight’s final. The winner will now face a big career kick off with representing Israel on home field at the Eurovision Song Contest in Tel Aviv in May. In tonight’s final, only the population was voting. 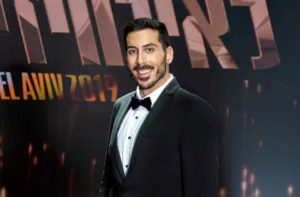 The judges (Shiri Maimon (Israel 2005), Harel Skaat (Israel 2010), Keren Peles, Assaf Amdursky and Static & Ben El Tavori no longer had any influence. The song with which the winner will compete at Eurovision will be chosen at a later date. Back in 1973, this year’s host country debuted at Eurovision with a 4th place. They country got off with a good start, and over the years, Israeli fans have generally had a lot to smile about – that is, if you look aside a period from 2011 to 2014 where the country failed to reach the final four years in a row, but since Nadav Guedj’s Golden Boy in 2015, the Israeli artists always delivered that: to reach the grand final of the Eurovision Song Contest. The country can add four victories to their CV, which is quite impressive. Two of these even came in a row; in 1979 with A-Ba-Ni-Bi and the year after where Europe fell in love with Hallelujah. 20 years after first victory, Dana International’s Diva was crowned the winner – and yet another 20 years later, the same happened to Netta and her Toy. What are odd’s for Israel winning in 2038?